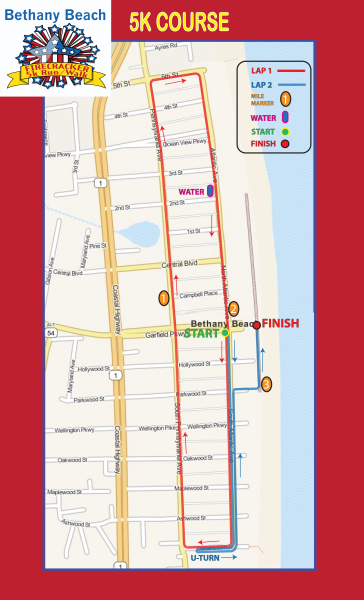 Additional Firecracker 5k information can be found at http://www.BethanyBeach5k.com. *packet pick up closes promptly at 7:00am. Give yourself plenty of time and arrive early. Packet Pick Up will be located on the Boardwalk at the end of Garfield Parkway. Join us in downtown Bethany Beach, Delaware on June 30, 2019. Kick off of the 4th of July holiday with this annual tradition! Finish on the boardwalk and celebrate your accomplishment with a great post race celebration and awards ceremony. ALL PROCEEDS BENEFIT THE TOWN OF BETHANY BEACH 4TH OF JULY PARADE COMMITTEE. **You will be allowed to pick up Race Packets for friends and family. We ask that you please advise them you will be picking up their packet to avoid confusion. If you pre-registered and you cannot race or attend the race, you must pick up or arrange to have your shirt and goody bag picked up during the scheduled Packet Pick-up hours. We will NOT hold or ship and unclaimed shirts. TOP MALE & FEMALE: 9 & UNDER, 10-13, 14-19, 20-29, 30-39, 40-49, 50-59, 60-69, 70 & UP. 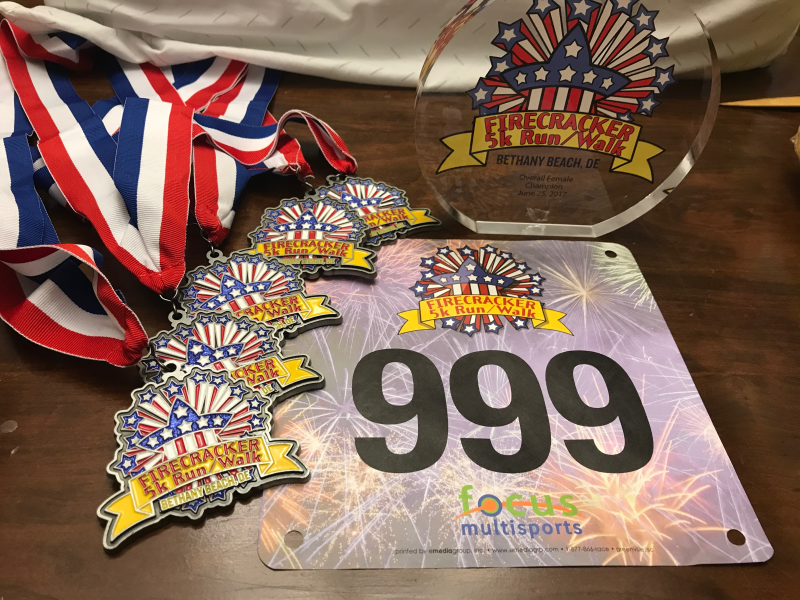 If you have any questions about this Firecracker 5k, click the button below. TOP 3 MALE & FEMALE: 9 & UNDER, 10-13, 14-19, 20-29, 30-39, 40-44, 50-59, 60-69, 70 & UP.